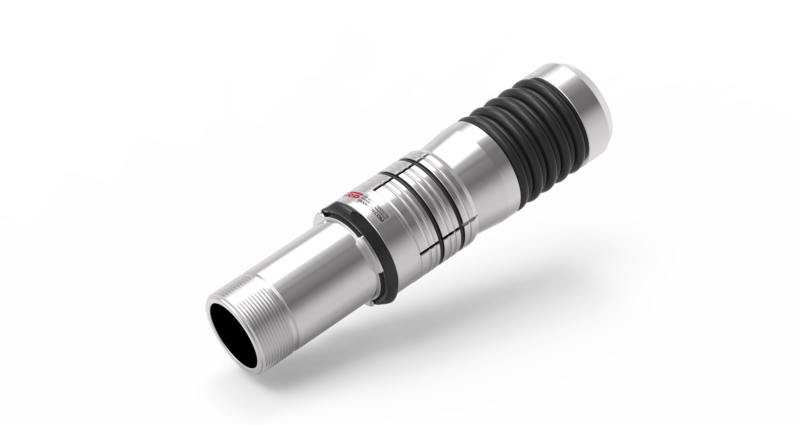 The GWC has a standard BSP thread and is assembled onto a length or lengths of standard BSP water pipe and inserted into the drill hole to the required depth, the last length at the face will have an open valve (to alleviate back pressure while inserting). Pulling back on the pipe or closing the valve at the face, if pressure is present, will lock the packer in place. This packer needs pressure in the hole or tension from the face to maintain a tight seal. In dewatering or lower pressure situations, a grouting safety bracket is secured to the face to ensure tension is maintained. Packers are available for all diamond drill, long hole, some large drill steel sizes and rotary percussion holes in a range of from 32mm to 152mm. GWC HDTY - Heavy duty solid urethane packing segment (more force will be required to set this packer and may need machinery to ensure proper sealing). Construction: Smaller sizes are drillable aluminium and rubber - Please check with VAN RUTH staff for confirmation. Larger sizes are steel and rubber, again please check with VAN RUTH staff for confirmation.